We would like to express our sincere sorry for this time of Kumamoto earthquake. 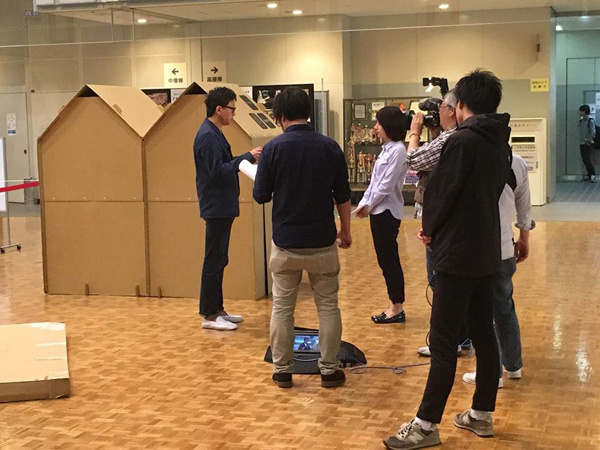 Toshihiko Suzuki and his Laboratory of Kogakuin University brings 80 cardboard shelters to the refugees in Kumamoto prefecture using a fund of alumni of architecture department, Kogakuin University. This action will be Broadcasted on TV Asahi, 3:50-4:50 p.m, 22th April. 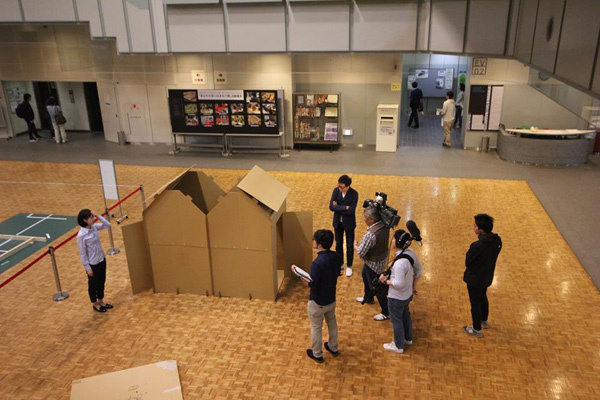 “What sholud I do as an architect?” When the Tohoku earthquake happened in 2011, Prof. Suzuki considered and immediately developed “Cardboard shelter”. “Facilities for refugee has water, foods and blankets in store. However it is not sufficient. There is no consideration for privacy. We are not comfortable under high ceiling. Let us consider human-scale.” He raised the funds from alumni of architecture department, Kogakuin University and delivered the cardboard houses to Kesennuma, Sendai prefecture. However the gymnasium for refugee emphasized on fair distribution and hesitated to set up them as sleeping spaces. Unexpectedly, children drew pictures and played with them. 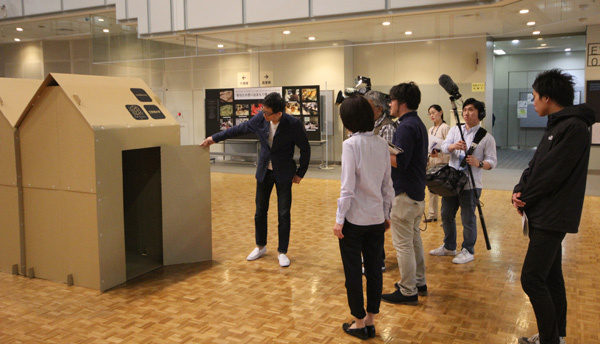 Then Suzuki developed new “Cardboard shelter 3” which is suitable for changing clothes, breastfeeding and medical examinations. TODA Corporation supported our distribution. On 26th April, we send 80 packed “Cardboard shelter 3” from Tokyo. Facilities of TODA corporation in Fukuoka branch keeps them and delivers from there. First, 20 shelters come to Mashiki-machi. We are ready to offer 60 shelters to other areas of Kumamoto prefecture. The cardboard is cheap and recycle material. Based on Creative commons, design is free of use at the site of Kogakuin University.